The American Academy of Periodontics treatment guidelines stress that periodontal health should be achieved in the least invasive and most cost-effective manner. This is often accomplished through non-surgical periodontal treatment, including scaling and root planing (a careful cleaning of the root surfaces to remove plaque and calculus [tartar] from deep periodontal pockets and to smooth the tooth root to remove bacterial toxins), followed by adjunctive therapy such as local delivery antimicrobials, ozone therapy and host modulation, as needed on a case-by-case basis. What is the difference between a Prophy, Periodontal Maintenance, and Scaling and Root Planing? A prophylaxis (or prophy) by definition is cleaning plaque, tartar and stain from the enamel tooth portion above the gum. This service is provided for children and adults who are in excellent heath with no bone loss, recession, or inflammation. Specialized periodontal maintenance therapy is on going treatment provided in this office and at your general dentist, coordinated to individually monitor you so that disease does not return. A maintenance appointment is usually preceded by scaling and root planning (see above) or surgical pocket elimination treatment and consists of monitoring probing depth, inflammation, radiographs for pathology below the gums, and medication therapy to minimize microbial repopulation. Periodontal maintenance treatments are quite often in 3 month intervals and are meant to reduce the risk of needing additional scaling and root planing or more complicated surgical treatment. After active periodontal treatment it is essential for patients to remain on a periodontal maintenance recall schedule in order to keep their periodontal disease under control and reduce the need for future re-treatment or tooth loss. Your beautiful smile is highly linked to the health of your teeth and the gum-bone surrounding them. 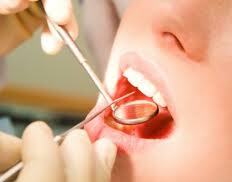 Only with regular maintenance, evaluation, and management can your smile be maintained. Dr. Ford and her team are here to help and answer any questions you may have. Our interest is in helping you meet and maintain your oral health needs and goals.